Happy New Year from CWF! We always like to think of more ways we can help protect rare wildlife in New Jersey. Last year CWF staff made “wildlife” New Year’s resolutions. From protecting terrapins and bats to encouraging teachers to use our Eagle and Peregrine Cams and of course to get out in the field more! We were certainly busy this past year and many species of wildlife had a banner year. Check out our annual status report to read more about some of our achievements in 2010. Thank you to all of our members and donors for your support! Here are a few more “wildlife” resolutions from the CWF team for 2011. Happy New Year!! I would just like for people to be more aware of wildlife while driving. Stop and help that turtle to cross the road! Biologists with the Conserve Wildlife Foundation of New Jersey help monitor and manage many endangered and threatened species in New Jersey. We work very closely with the Endangered and Nongame Species Program in the NJ Division of Fish and Wildlife. Each year we summarize the results of many surveys and monitoring programs to show the most current information about the status of New Jersey’s wildlife. Whether good or bad news, we like to share this information with the public to make them aware of the conservation needs and successes. Weather had a huge impact on wildlife this past year. The cold winter lead to a higher than normal loss of young bald eagles while the hot dry summer was favorable to those species impacted by coastal floods, the piping plover, least tern and black skimmer. 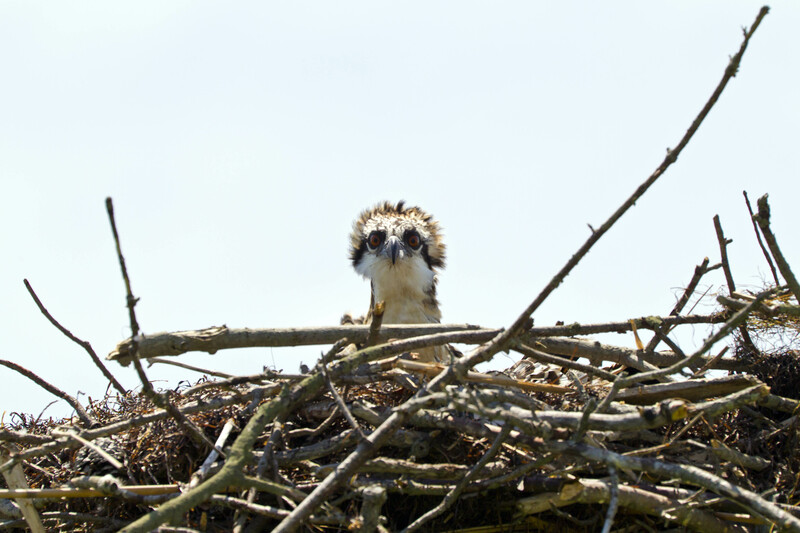 The hot dry climate also helped ospreys produce a record high number of young. However, disease still impacts our state’s bats and disturbance by people or predators plays a role in fledging success. Check out the full report for detailed information for over 15 species listed as endangered or threatened in New Jersey. While cold temperatures may have many people enjoying some time getting office work done, I enjoy working outside despite temperatures in the 30s. Yesterday, with help from Bill Pitts, a wildlife technician with NJ Division of Fish and Wildlife’s Endangered and Nongame Species Program and Alf Breed, a seasonal technician with Conserve Wildlife Foundation we set out on the Delaware Bay to install a set of new predator guards on a peregrine falcon nesting tower near Heislerville. The new predator guards require little maintenance and more importantly help protect their nestlings from being predated by ground predators, like raccoons. No doubt it was cold and windy. 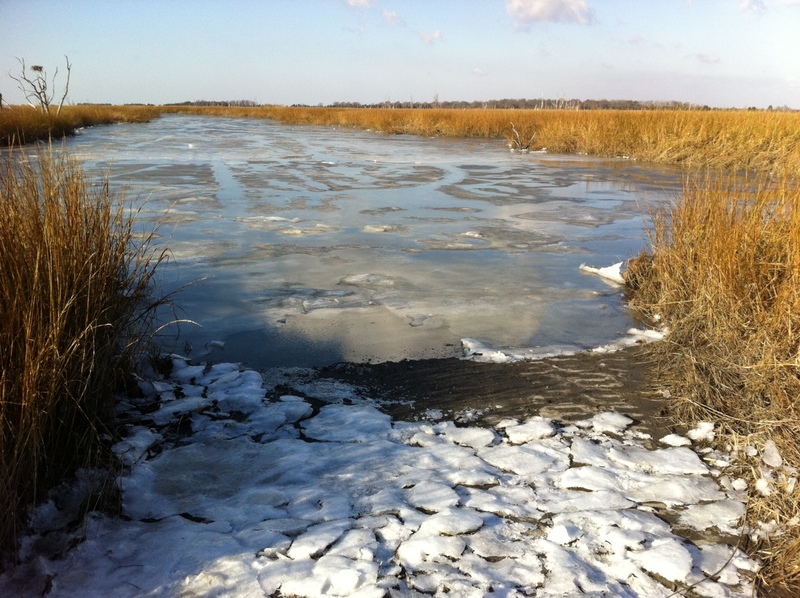 The small creek where we launched our boat already had ice on it! An uncommon sight in early December. This was a clear indication that winter is here to stay, but that it didn’t dampen our mood. So we launched boat and set out to the nest site. After a short boat ride we arrived at the site. One adult peregrine (a female) was perched on the tower. In New Jersey, nesting pairs are territorial throughout the year. She called to defend her nest site and flew off and watched us from a nearby perch. We unloaded gear and started removing the old predator guards. In 2009, I began to install these new inverted cone predator type guards on peregrine nesting towers. The guards were custom fabricated by Babbitt Manufacturing, Inc. in Vineland. The new cones replace antiquated metal sleeve type predator guards which required annual maintenance during the non-breeding season. 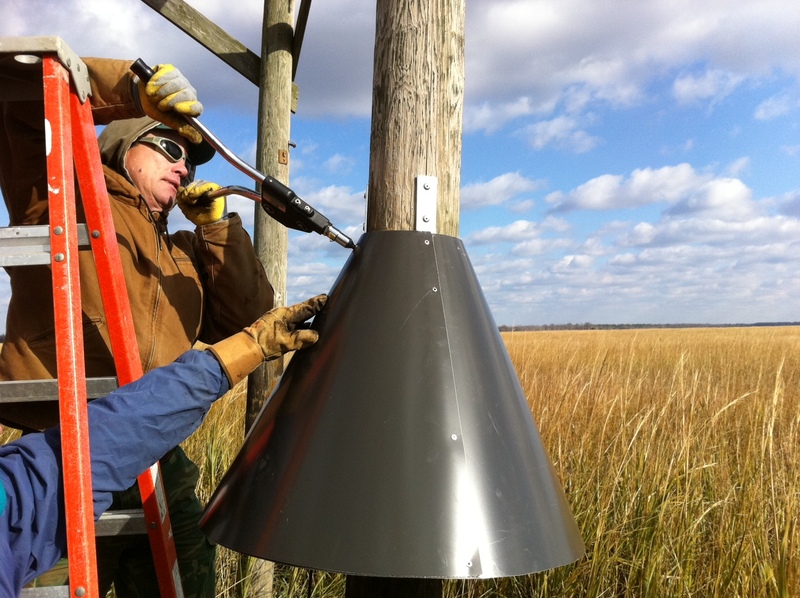 We first installed a prototype on a nest tower located inside Forsythe NWR in Oceanville. The new cone passed the test by withstanding 70 mph wind gusts during the winter of 2009. 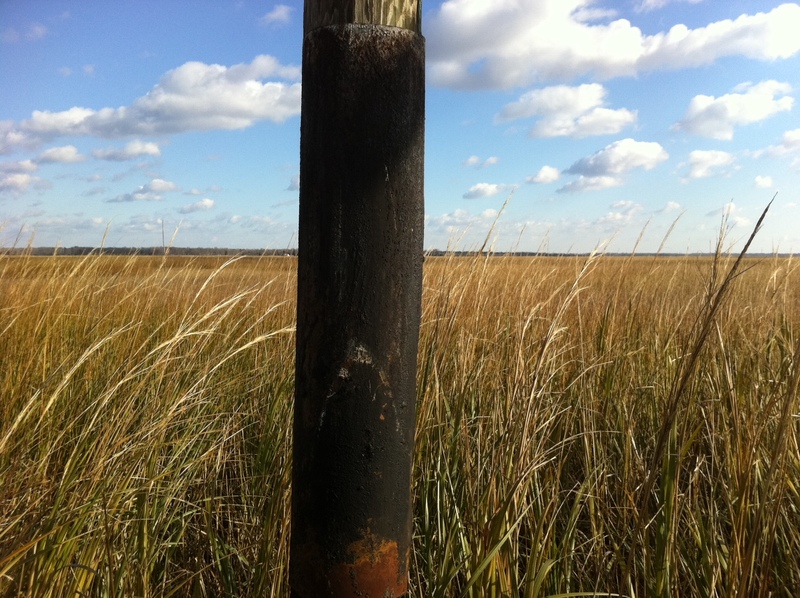 A complete set (of four cones) was then installed there and at another nest site on the saltmarsh in Manahawkin. There are nine towers where peregrines nest along the coast of New Jersey. After the peregrine population was decimated by DDT in the 1960s, efforts were made to help re-establish the population. It began in the 1970s after the federal ban of DDT in 1972. 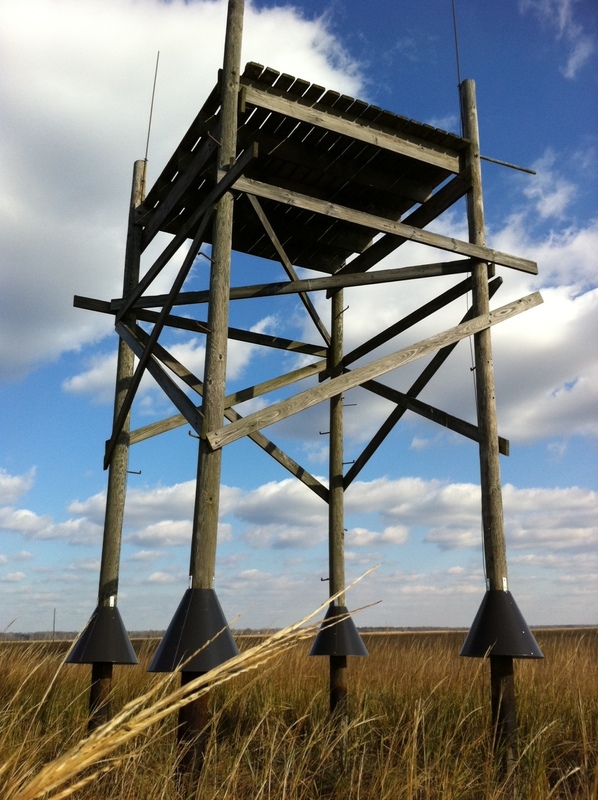 The first tower was installed in 1975 inside Sedge Island Wildlife Management Area. 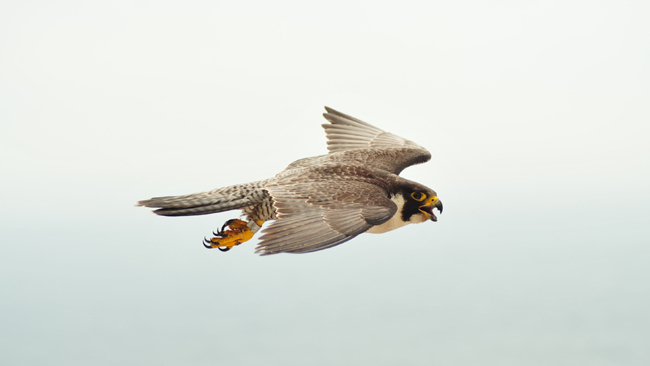 The Peregrine Fund and the NJ Division of Fish and Wildlife began to “hack” peregrine falcons at this site to help re-establish breeding pairs to New Jersey and the Mid-Atlantic region. In the following years the program was expanded, and in 1980 a pair of wild peregrines nested on a tower. Since then, the population has slowly rebounded. Today, peregrines nest on a variety of structures in New Jersey including buildings, bridges, natural cliff sites, and these old “hacking” towers. In 2009, a total of 14 pairs nested in New Jersey. Since the first Women and Wildlife Awards in 2006, we have had the distinct honor of highlighting and celebrating the work of twelve women who dedicated their professional or volunteer lives to the protection of wildlife populations and their habitats in New Jersey. Here’s a snapshot of the women we’ve honored and the work they’ve done. Joanna Burger holds a great egret. Hannah Bonsey Suthers and Joanna Burger were first honored in 2006. Hannah has spent more than 28 years studying bird populations and the habitats that support them through the Bird Banding and Research Station that she founded on the Sourland Ridge in central New Jersey in fields undergoing succession from farmland to natural state. Joanna has been a Professor of Ecology and Evolution at Rutgers University for 25 years. For 14 of these years, she was Director of the Graduate School in Ecology and Evolution. The main focus of Joanna’s research has been to understand how animals can prosper in habitats affected or dominated by people, and their interactions with other animals. Kathy Clark and Amy S. Greene were honored in 2007. Kathy is a zoologist with the state’s Endangered and Nongame Species Program. Kathy has been instrumental in the recovery of the bald eagle in the state since the early 1980’s and in re-establishing a stable breeding population of peregrines in New Jersey. 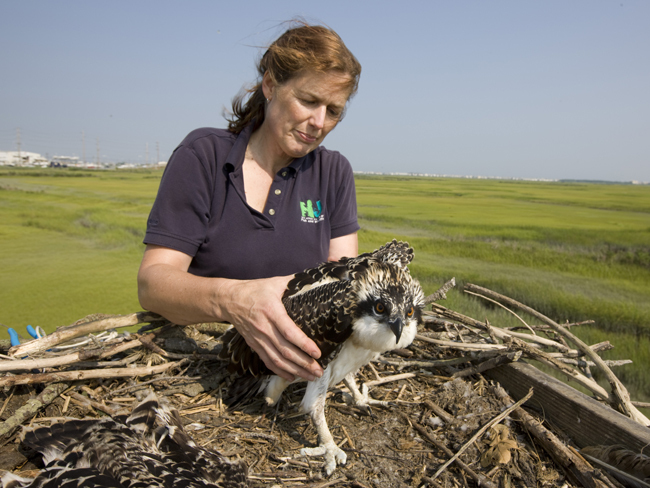 She also leads the osprey project which has recovered the state’s osprey population to record high numbers. Amy is president and owner of Amy S. Greene Environmental Consultants, Inc. She has over 30 years of experience in the environmental field and is recognized as an expert in the field of wetland science, environmental permitting, natural resources inventory, terrestrial and aquatic ecological studies including endangered and threatened species surveys. 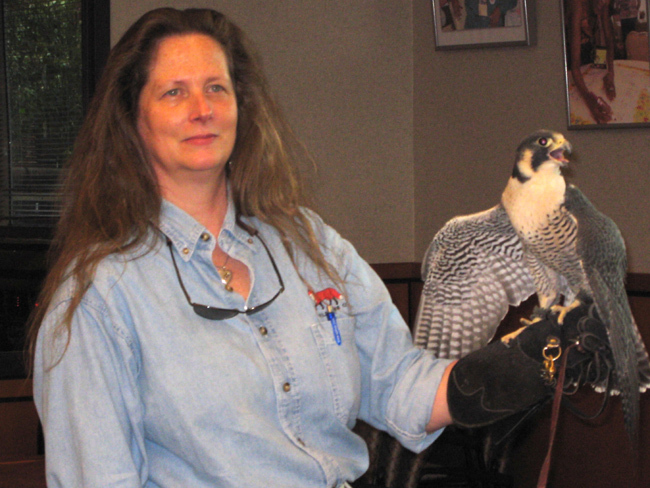 Dianne Nickerson holds a peregrine falcon. Jane Morton Galetto and Amanda Dey were honored in 2009. Jane is the founder and President of Citizens United to Protect the Maurice River and Its Tributaries (CU), Jane was instrumental in the designation of the Maurice, Manumuskin, Menantico, and Muskee Rivers into the National Wild and Scenic River System. Amanda is a biologist with the Endangered and Nongame Species Program. She has worked on a variety of projects involving shorebirds, goldenwing warblers, power line rights of way, and statewide surveys of grassland and forest passerines but her landscape studies with neotropical migrants and her work with shorebirds are outstanding. 2010 Women and Wildlife Award recipient Annette Scherer. Earlier this year, Annette Scherer and Marie Springer were honored. 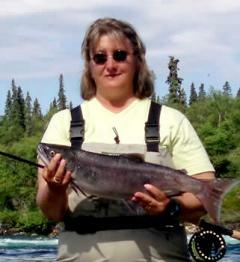 Annette successfully worked with Federal, State and non-governmental agencies in developing and implementing efforts to protect endangered and at-risk wildlife over a twenty-eight year career with the US Fish and Wildlife Service. 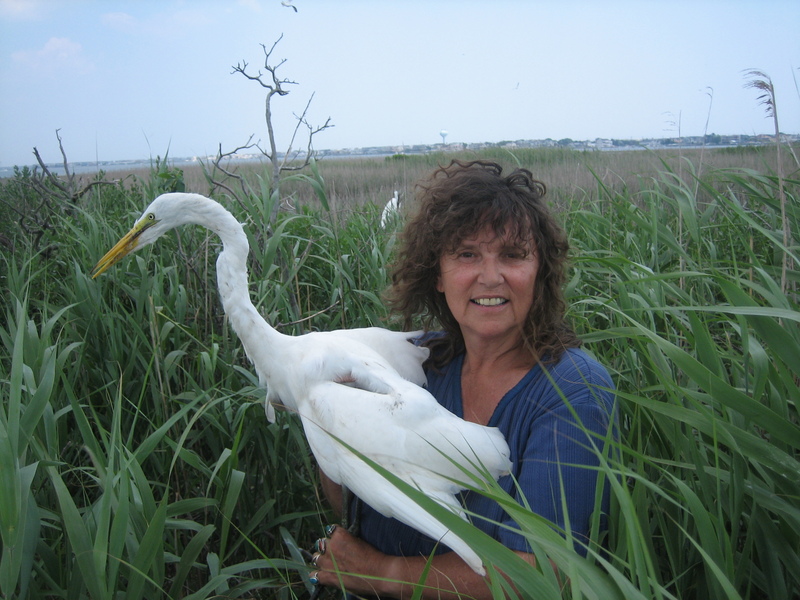 She has been particularly instrumental in the protection of New Jersey’s beach-nesting bird populations, including piping plovers, American oystercatchers, skimmers and terns. Marie has worked tirelessly to protect and expand the Wallkill National Wildlife Refuge and to educate the public about its diverse wildlife. Her efforts on behalf of the state’s population of bats were instrumental in obtaining $1.9 million for research and prevention of white nose syndrome, a disease that is decimating the bat population in the north east. A posthumous award was presented by Mike Daveport to honor Dr. Carol Slocum. We have honored two women wildlife professionals who left us far too early but whose work and dedication to their science made them obvious candidates for inclusion into this exclusive group of women. Most recently we honored Dr. Carol Slocum, New Jersey’s leading expert on seal behavior and ecology. 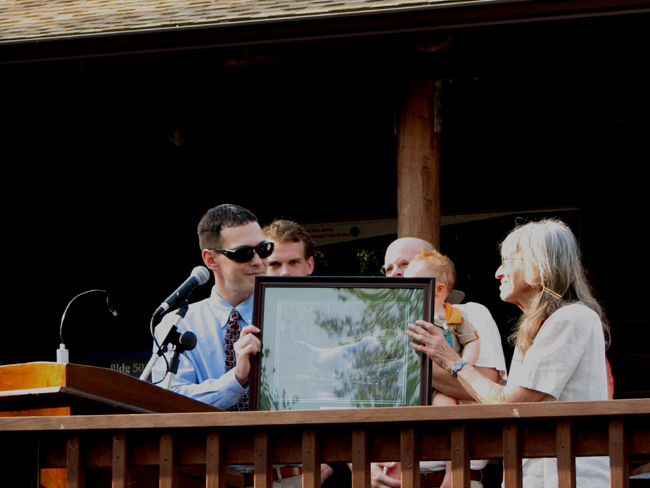 Dr. Slocum gave 30 years to the service of science and wildlife conservation. She played a vital role in identifying threats to marine mammals within New Jersey as well as recommending potential strategies for addressing those threats. When she passed away in 2010, we were honored to be asked by her colleagues to present this posthumous award to her family. Read more about this posthumous award. In 2008, we honored Stacy Hagan of Rutgers University Marine Station. Starting as a volunteer at the Marine Station, Stacy eventually became a fulltime employee while also completing a M.S. in the Graduate Program of Ecology and Evolution at Rutgers University. During her short career she was senior author or co-author on 17 peer-reviewed publications. If you know anyone, professional or volunteer, who can stand next to the wonderful women and their achievements outlined above, please submit a nomination by January 21, 2010. Also, if you would like to celebrate Women in Wildlife during national Women’s History Month in March, please join us on March 27th at Prallsville Mill in Stockton, New Jersey. 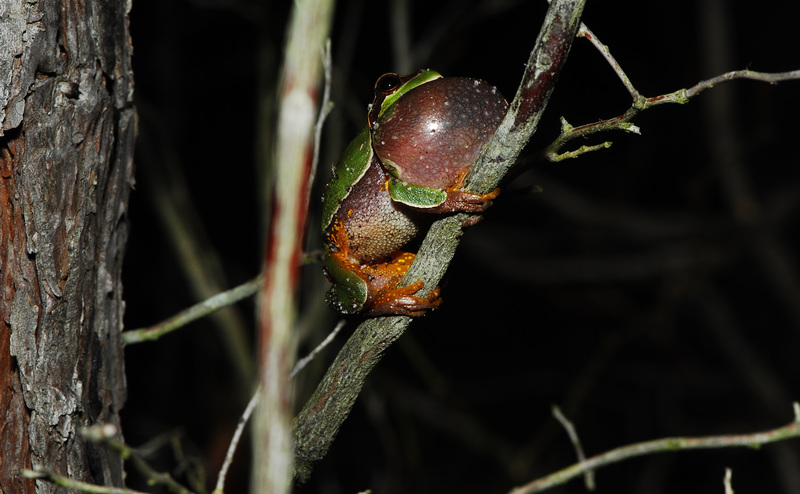 If you enjoy hearing the sounds of frogs and toads and like a bit of adventure then the NJ Calling Amphibian Project (CAMP) might be the right project for you! Each of the 16 species of frogs and toads in NJ has a unique vocalization or “call” that can be heard during their mating season. The Conserve Wildlife Foundation of NJ is actively recruiting volunteers to participate in a statewide Calling Amphibian Monitoring Program (CAMP). Fourteen CAMP routes are currently available for the 2011 season. For detailed project information, click here. To view results from the 2010 season, click here.